Say, what's this, a new product? 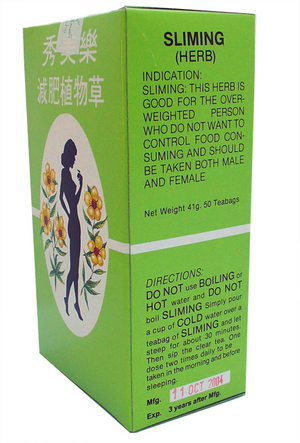 Hmmm, what smart packaging, and such an attractive lady on the box! 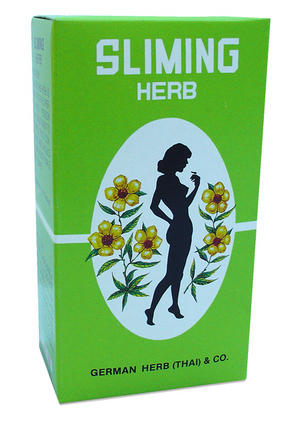 Let's see, what is it used for?...Oh here it is: "Indication: Sliming." Why, I like to slime! Hey... this might be something I could use. Let me look here..."This herb is good for the overweighted person who do not want to control food consuming..." Why, that describes me to a tee!